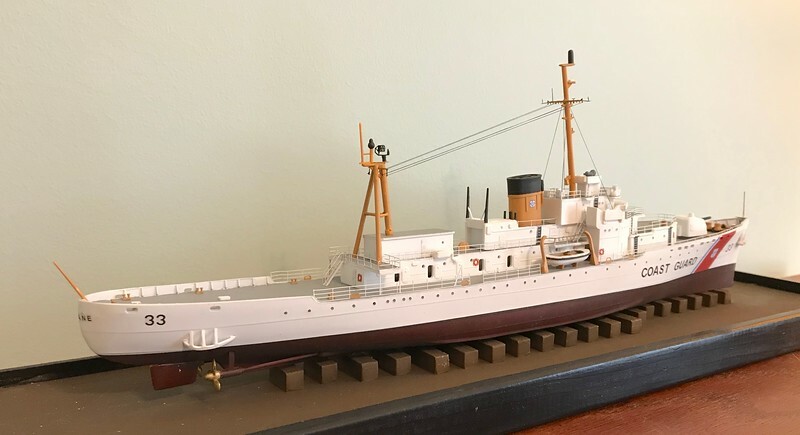 This is my build of the USCG Secretary class USCGC Duane, converted from the ancient Revell box-scale USCGC Taney/Campbell Kit. I converted the Korean War era Taney kit to her sistership Duane as she appeared during her deployment to Vietnam Nam as part of Coast Guard Squadron Three in 1967-68.
i used the GMM railings and other bits and parts from the parts box, and added various scratchbuilt parts. The radar room and tripod mast are scratchbuilt. I converted the whaleboats to USCG Motor Surfboats with scratchbuilt interiors. 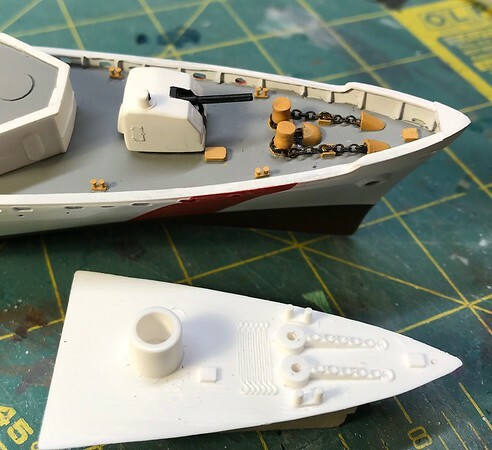 The kit’s deck with its clunky detail was replaced with one cut from .040 inch styrene sheet, and assorted aftermarket and scratchbuilt details. It's nice to see white ships now and again. Very nice!